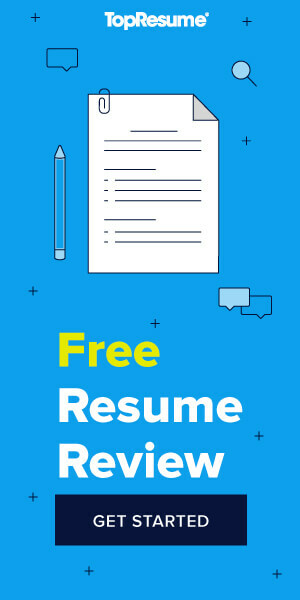 Since you may have slaved away for hours crafting the perfect résumé, you may be disappointed to find out that the average hiring manager spends less than a minute reading each résumé that lands on their desk. Want yours to stand out? Follow our top résumé-writing tips and increase your chances of landing an interview. This should include your city of residence, e-mail, and phone number. Make sure you are using a professional-sounding e-mail address. Don’t include your home address—you don’t know where your résumé will end up, and identify theft is all too common. You also should avoid listing personal information such as age, marital status, and race. A short, two- to four-line description of you as a professional. You include keywords that appear in most job descriptions in your field, and you can tailor this profile to the specific jobs to which you are applying. Keep it professional—don’t mention irrelevant hobbies. Your work experience should be the first item in your résumé because it is the most relevant to your job search. If you’re a recent graduate, however, your educational information should go first unless you have substantive job experience in your field. List any academic degrees that you have as well as technical training. If you won any significant awards, you can mention them here. Here you can describe your work-related skills. These should have a practical application to your desired job, or have some concrete value, such as knowledge of programming languages. Don’t include soft skills such as public speaking or leadership skills—there is little meaning to self-assigned abilities. Don’t just list your tasks from your previous jobs. Instead, describe concrete successes. For example, rather than writing that you taught English, write that you developed creative daily lesson plans and initiated a cultural exchange program with a school in Mexico. Be sure to give concrete examples of goals that you achieved. Research the pressing issues facing the company to which you are applying, and state how you can help them. Back it up with experience—for example, if the company wants to expand its market share, write that you increased the online reach of your previous employer by 50%. A resume has one specific objective, and that is to win an interview for a candidate. It should do this by creating a good impression of them, communicating a positive message, & identifying them as the best candidate for the job. Also remember that if your resume is not getting you invited to interviews then it’s not working and needs to be changed. Public Health Unit: What Are the Steps for a Job Interview? What Do I Need to Do to Get Hired by Diversapack LLC?